For the longest time, I have hated the various technical issues that pop up in my streams. At first, it was just insuring that the stream doesn’t crash. Well, I got that down to a near science now. So, that part is all good. Then, there was the time that my back-up mic didn’t quite perform. That was only temporary, but it was a pain. It was resolved. Not to mention, the real mic is back and performing at its fullest. However, through all of the prior issues, there was one that I always wanted to tackle. However, the issue was not high priority, so it got set aside for quite some time. This problem was the fact that there was a lag in the way that the Hauppauge sent video to my computer. Thus, the voice commentary for the streams, that occurred while we were playing live, occurred just a few seconds before the viewer saw what happened. I always knew that this was not an ideal situation. However, I let it be because I had other more important issues to tackle. Well, those larger issues had been tackled, so it was time for that voice to be fixed. Let me start by saying that Virtual Audio Cable is a great program. However, it was a bit tricky for me to get it working. At first, I just simply could not get it to agree to work. Once I turned on the repeater for my mic, it’d cut out the option to skype. Obviously, that wasn’t any good. However, after spending some good hours researching my issues and attempting an older version of the program, I was finally able to get it to work. Thus, I present to you the stream that proved that I could fix my issues! 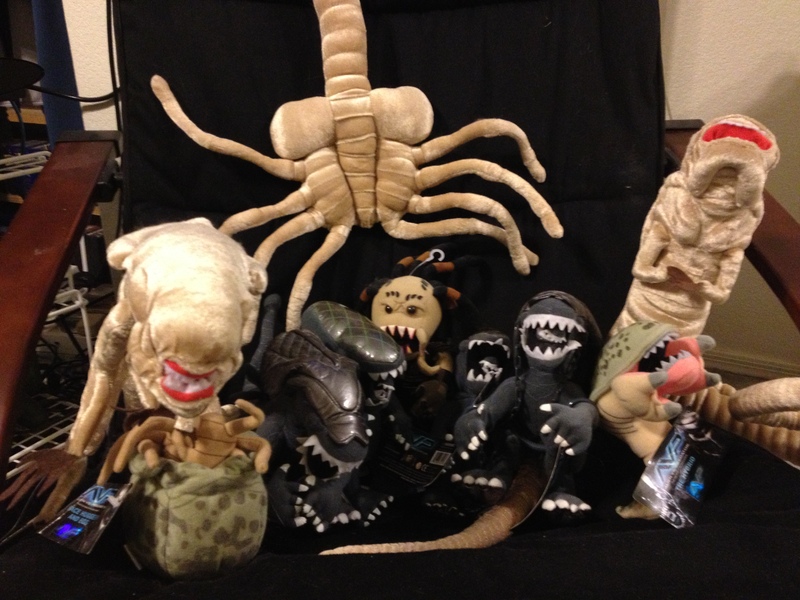 I had previously taken a picture of my xenomorph plush collection.� Well, I still had two Xenos waiting around that also have more than enough love.� So, I shall continue my own hype by sharing images of these two items as well. Enjoy the view of the extras as well. How do people come up with this stuff? I think I may have possibly found a new fetish.� I’m not certain.� What I discovered last night was simply strange and bizarre to say the least.� I never would have expected to find anything like it, and I don’t even know where it’s going. Anyway, I’ve been getting myself hyped by indulging myself in the mythos of the Xenomorph, AKA ALIEN.� I have the Quadrology and the AVP movies, so a lot of my time has been spent watching the films.� However, I also decided to side-track for a short bit and check, for curiousity’s sake, what existed in the land of fanfiction. What I discovered was rather strange, as I said earlier.� This story is almost well written, if it were not for the strange lack of the proper punctuations for speech and dialogue.� However, the content is simply disturbing.� I’ve only gotten a few chapters in, but I’m guessing that this might possibly be something that’s going to lead to a romance with a Xenomorph hybrid. If I might say so, mind blown. I also have to admit that I am continuing to read this story simply because I just want to see how insane the plot can get.� This is definitely the train wreck material that I look for. I’m really excited to have a game that is primarily about Xenomorphs. As of late, I’ve been drinking up the Alien movies and enjoying the fandom. I may even read the novels that I have hidden under my bed! I’ve also considered streaming Aliens vs Predator, either the classic or newer version, at some point. I wouldn’t say to expect much from such a stream. I’d just pick the Xenomorph campaign and go crazy. 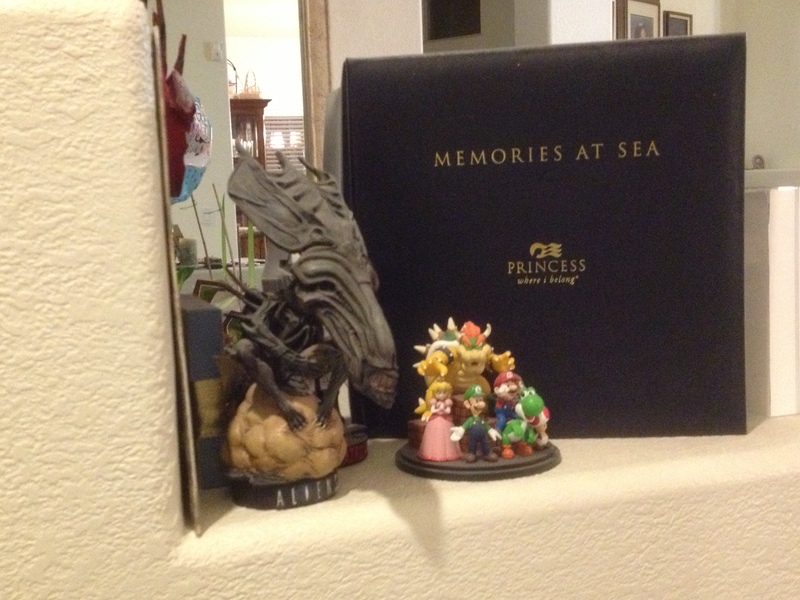 Anyway, my main reason for making this post is that I wanted to share the picture of my meager Xenomorph collectino. 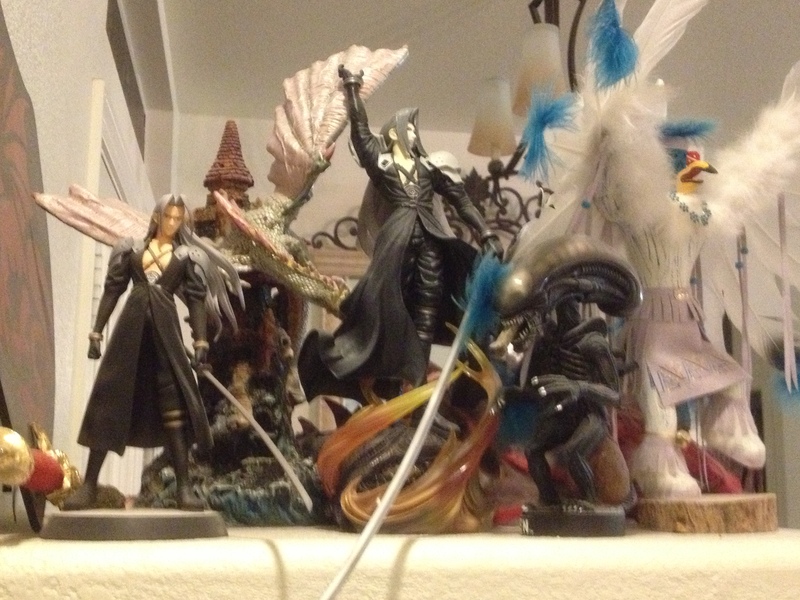 I’ve mostly collected the plushes, so it’s by no means impressive. However, who doesn’t love a life-size facehugger plush?